Exploited and Extorted, 30 Africans Drown While Trying to Return Home From Yemen | The New York Times The mass drowning, in the Gulf of Aden, which separates war-ravaged Yemen from the destitute Horn of Africa, punctuated the lethal hazards facing migrants and refugees in an especially insecure part of the world. At least 30 African migrants and refugees drowned off Yemen this week after their overcrowded vessel capsized during a clash with smugglers trying to extort them for more money, the United Nations said Friday. 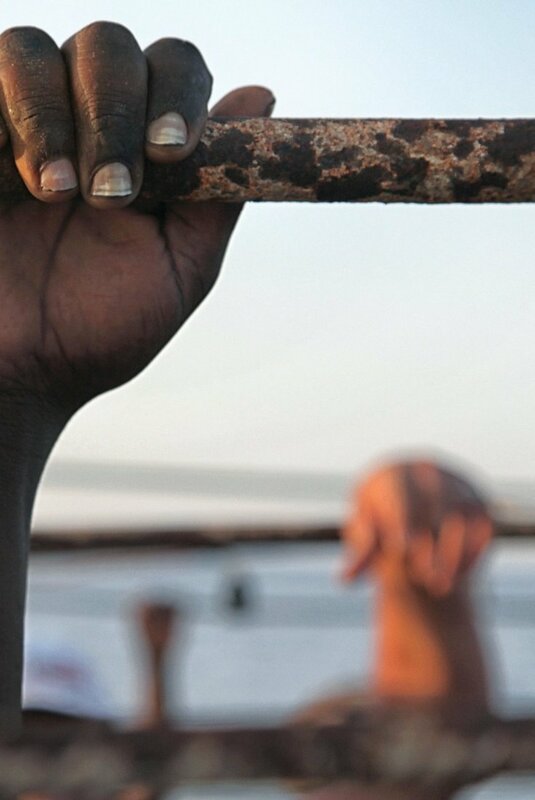 The mass drowning, in the Gulf of Aden, which separates war-ravaged Yemen from the destitute Horn of Africa, punctuated the lethal hazards facing migrants and refugees in an especially insecure part of the world. The victims, Somalis and Ethiopians who had originally sought temporary refuge in Yemen, were en route back toward their home countries — a telling barometer of Yemen’s descent into deprivation during its long civil war.